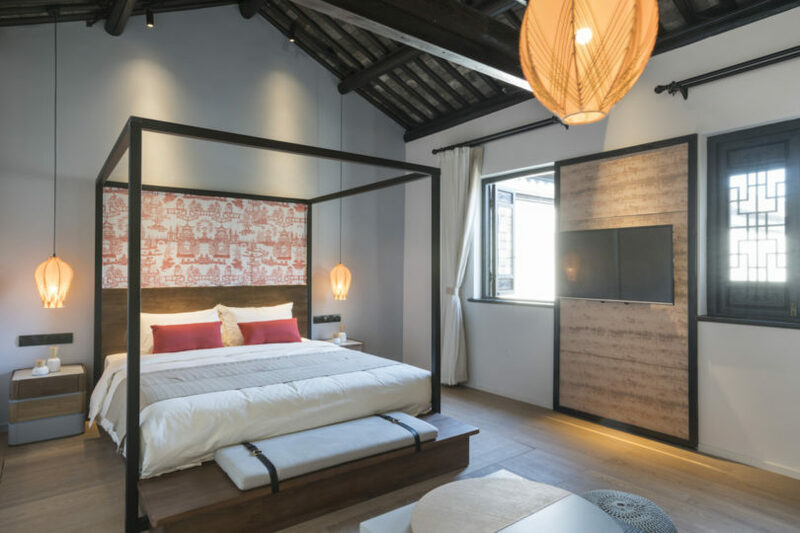 The is a boutique hotel tucked away in Huzhou, China that’s been recently renovated by . 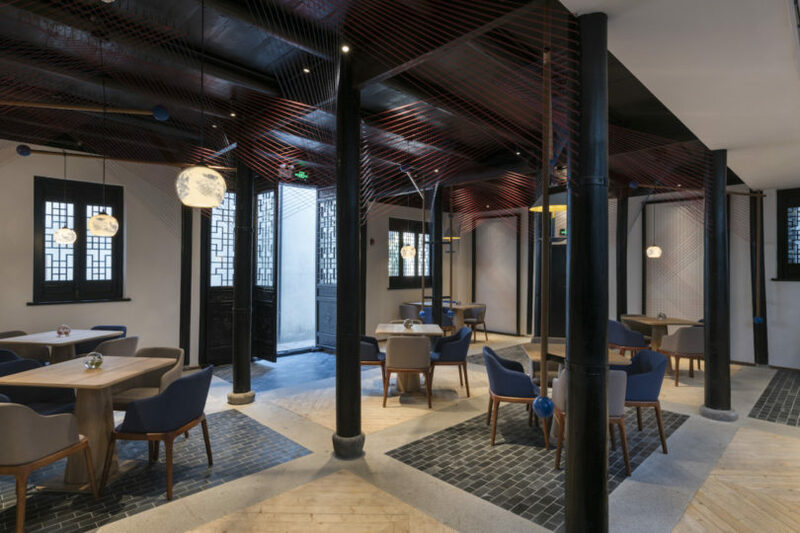 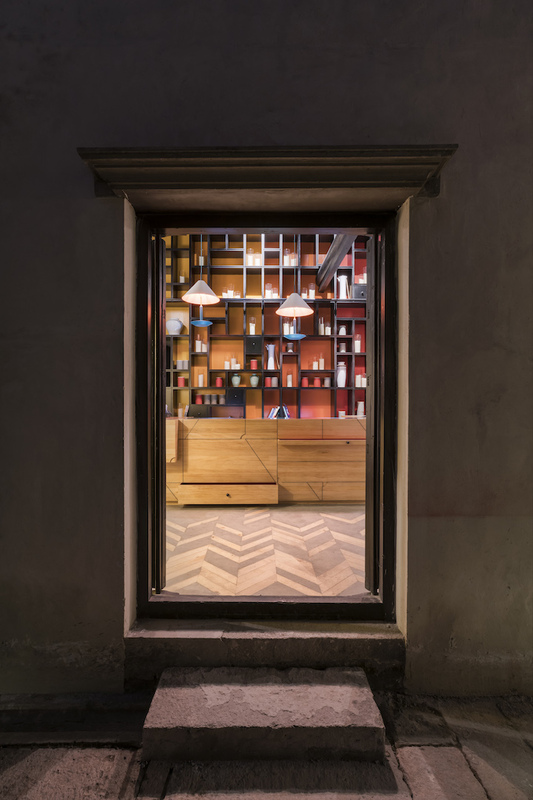 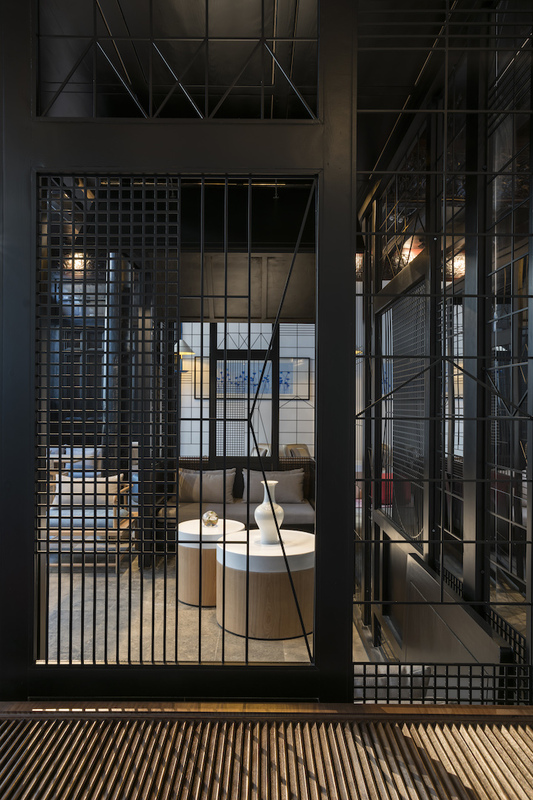 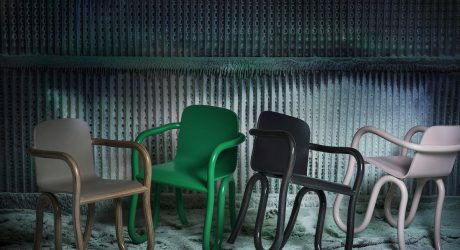 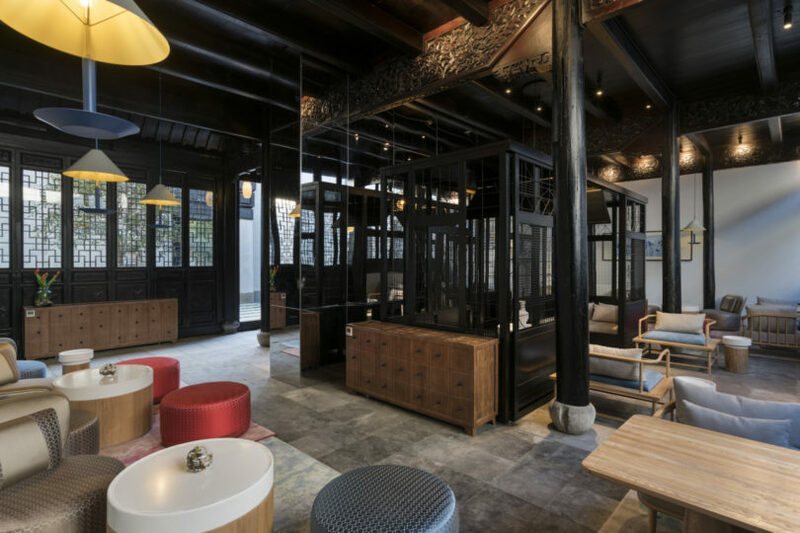 Inspired by the quiet, hidden beauty of nature found in Nanxun and its Southern China style gardens, the interior design studio combines contemporary western design with the heritage of the building and site for a tranquil retreat away from the busy city life of Shanghai. 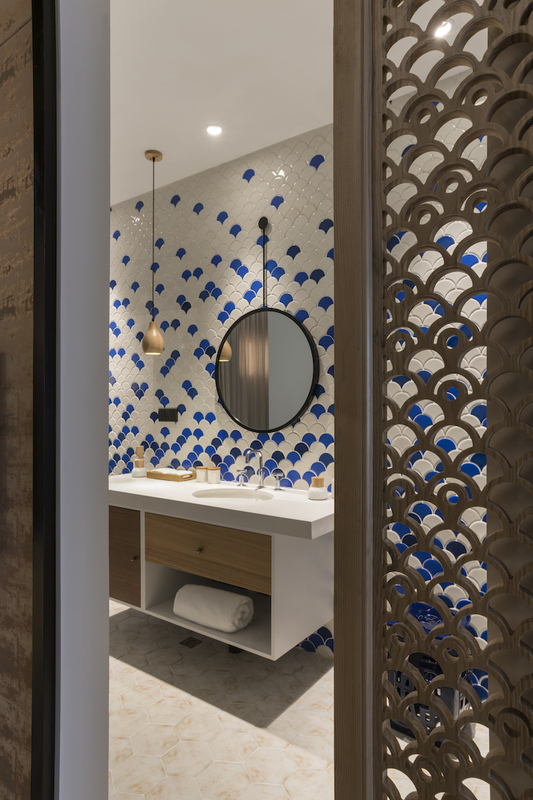 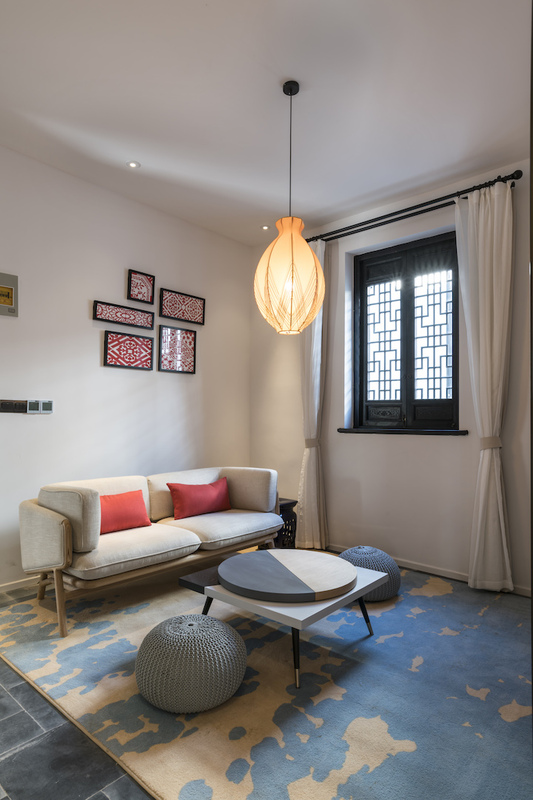 Thomas Dariel of Dariel Studio infused Chinese motifs and themes into the interior design of the hotel. 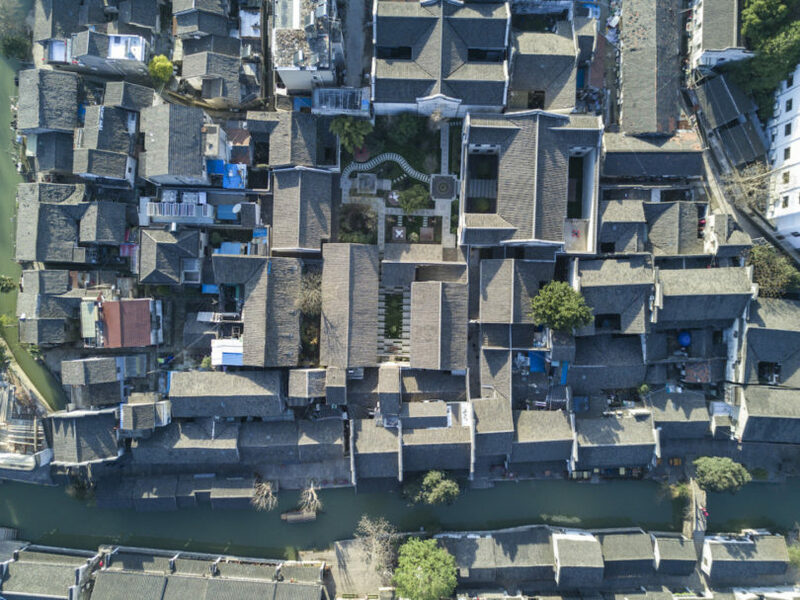 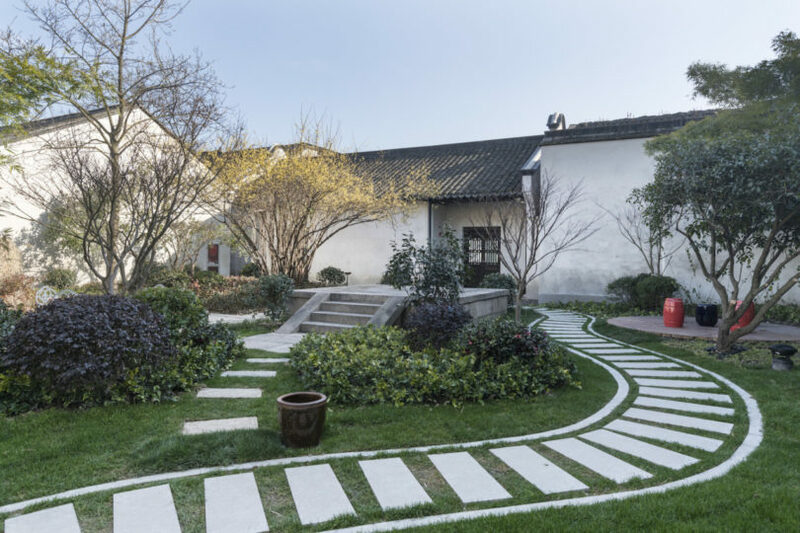 For example, the villa was originally built in 1930 by Liu Geng Gan, the richest person in Nanxun, as a place for him to collect books but he also had a silk business. 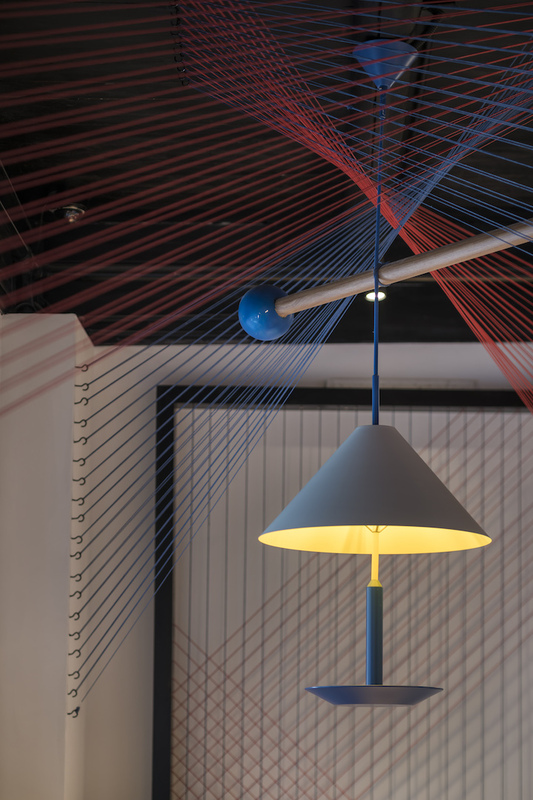 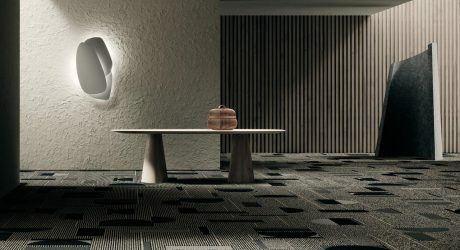 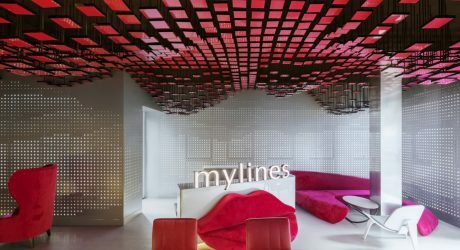 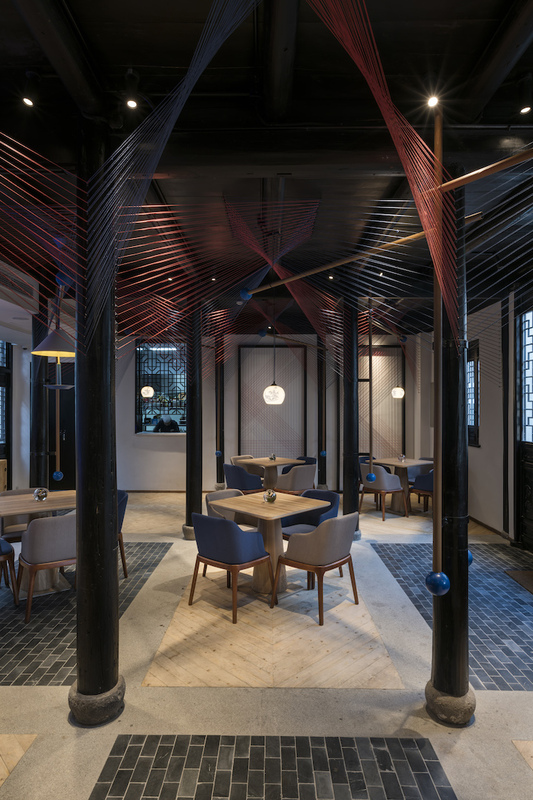 The studio used knitted geometric-shaped silk screens to divide spaces into different areas and hung blue and red silk stripes inside the hotel’s restaurant for a subtle, spatial look. 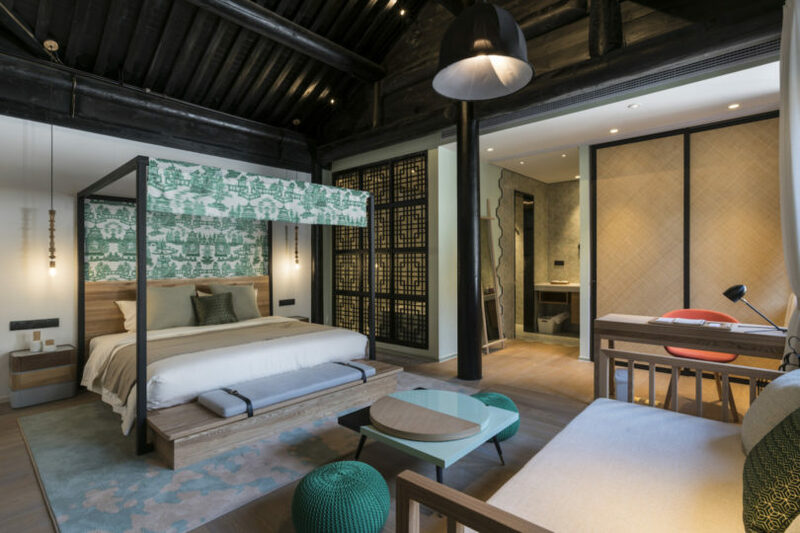 Dariel also took inspiration from occupations in Chinese agricultural society to design the guest rooms. 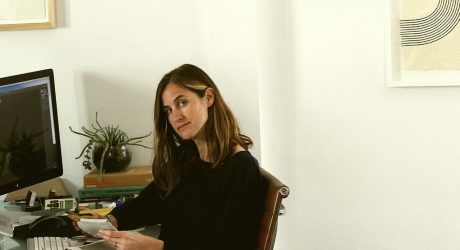 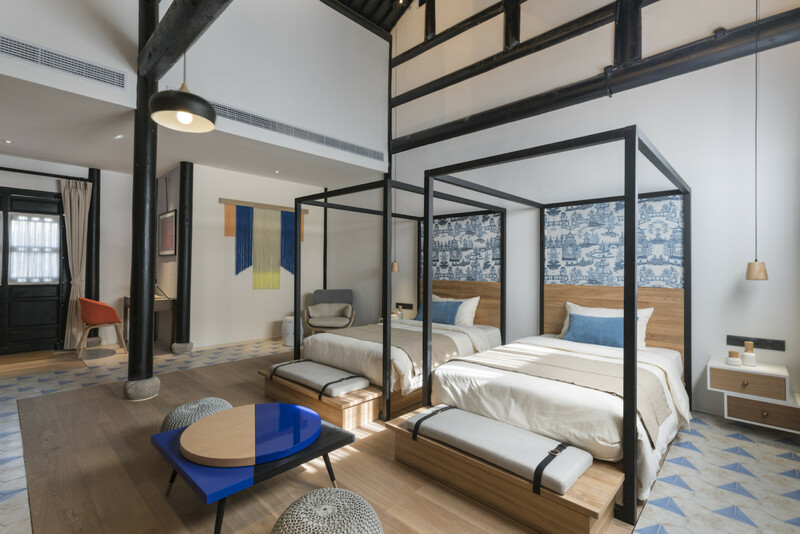 The orange series of guest rooms represents farming, the green series represents gardening, and the blue series represents fishing. 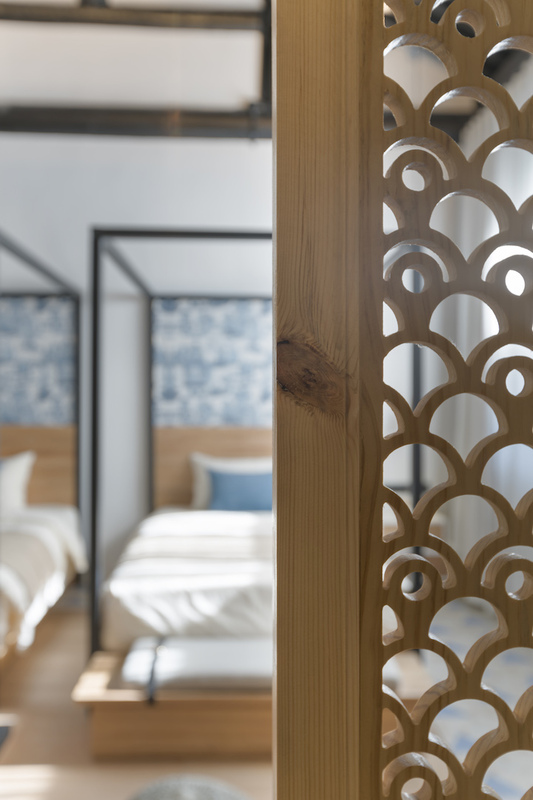 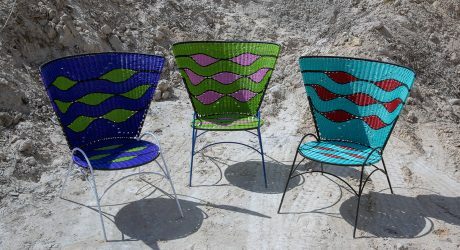 The guest rooms in these themes are decorated with objects and patterns in these color ways to reflect on the local culture. 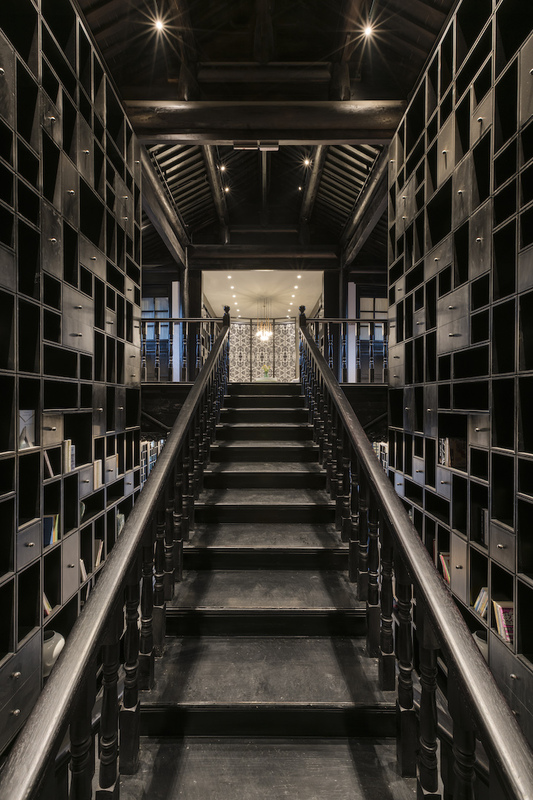 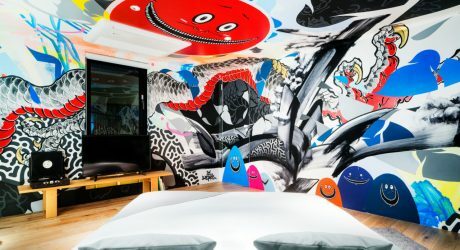 Highlights: This 20-room hotel stems from a heritage that dates back all the way to the Ming Dynasty. 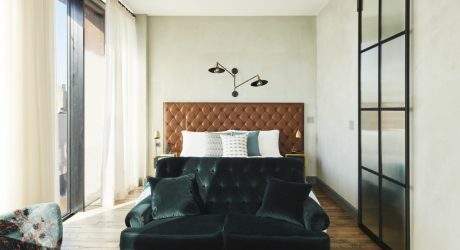 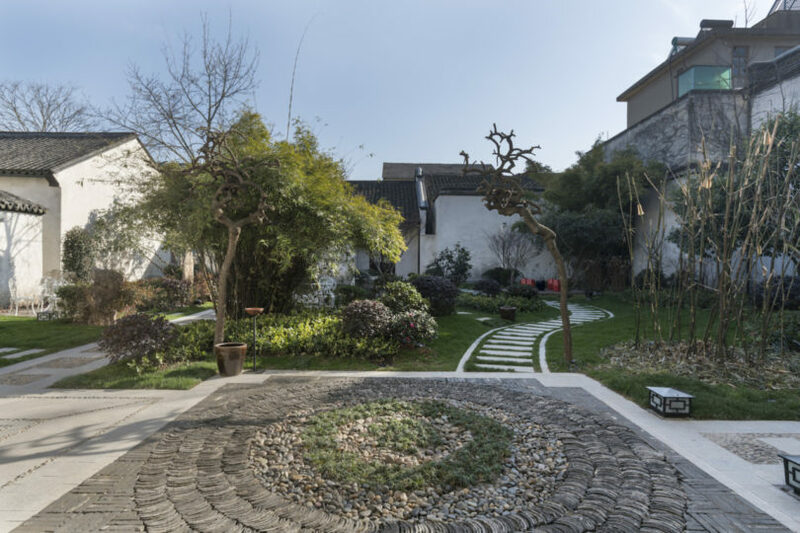 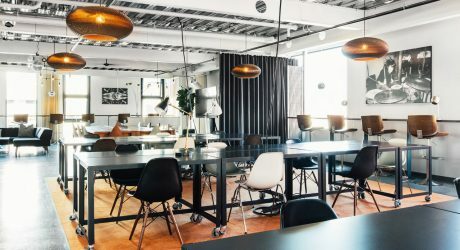 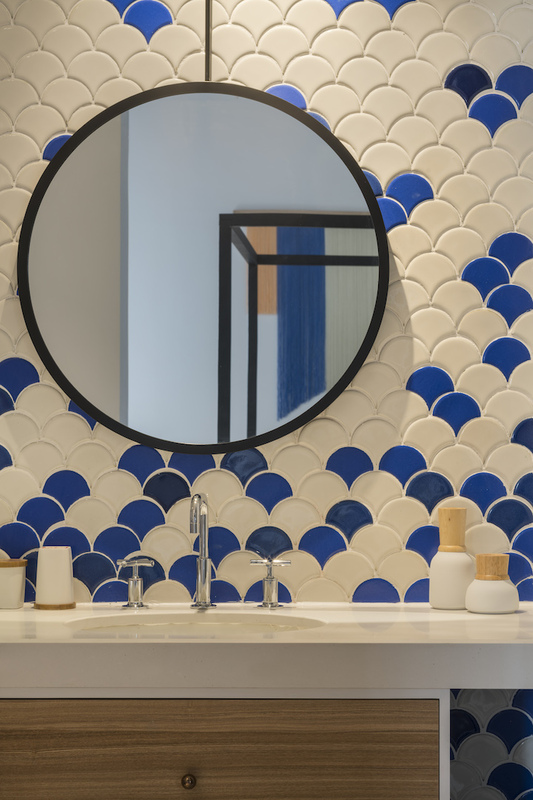 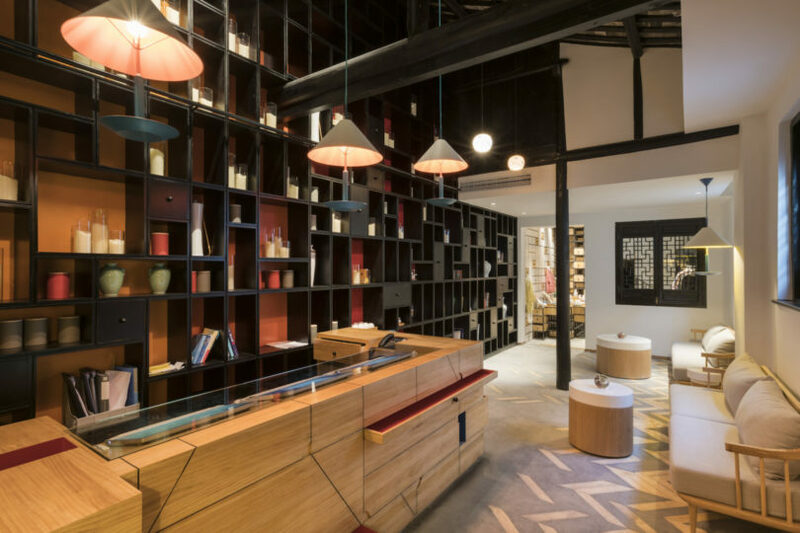 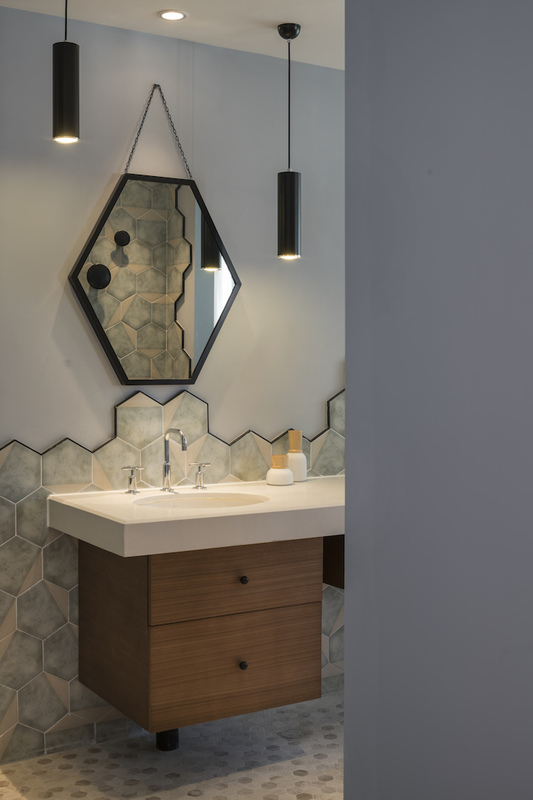 Located 1.5 hours away from Shanghai, the hotel’s three buildings has been renovated to cultivate a quieter way of life where a simple way of living and the beauty of nature become the main draws of staying at this boutique hotel. 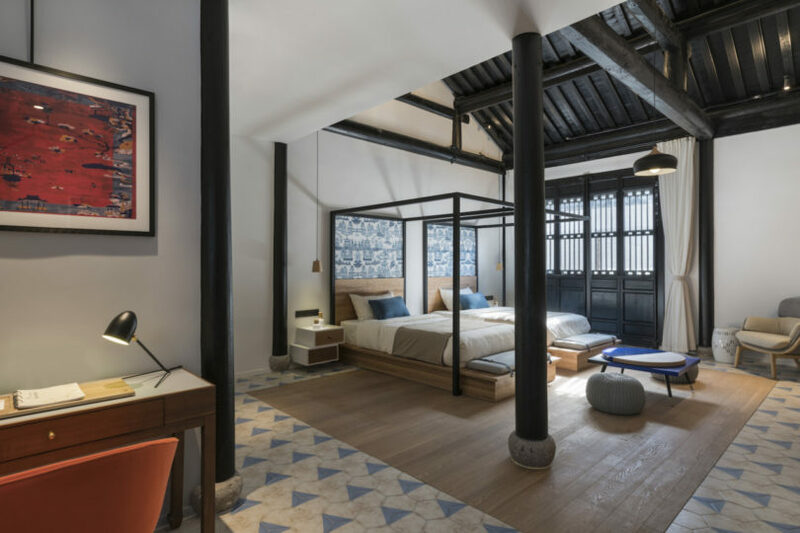 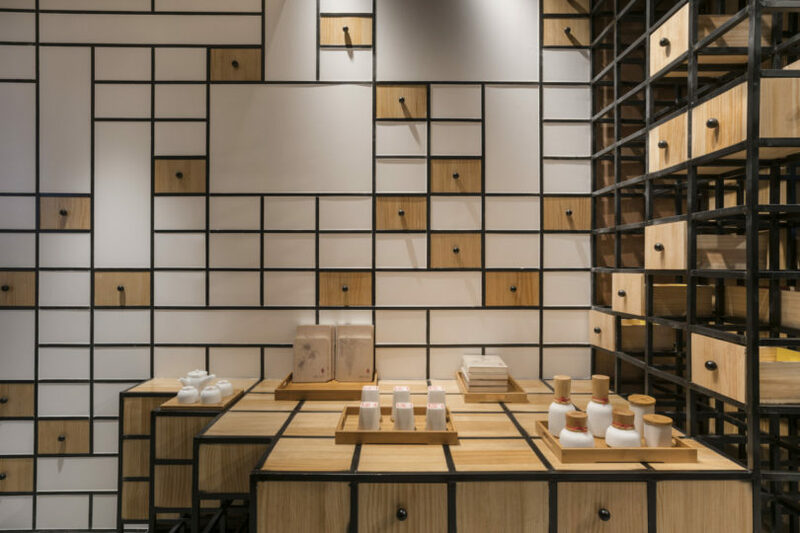 Design draw: Designed by Dariel Studio, the guest rooms fall into three main themes that are inspired by occupations in Chinese agricultural society, reflected by the color ways and decor found inside the rooms.